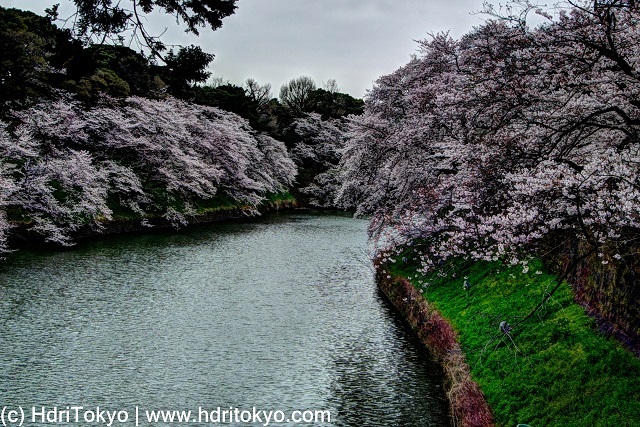 Chidorigafuchi Moat is one of the most popular cherry blossoms viewing spot in Tokyo. 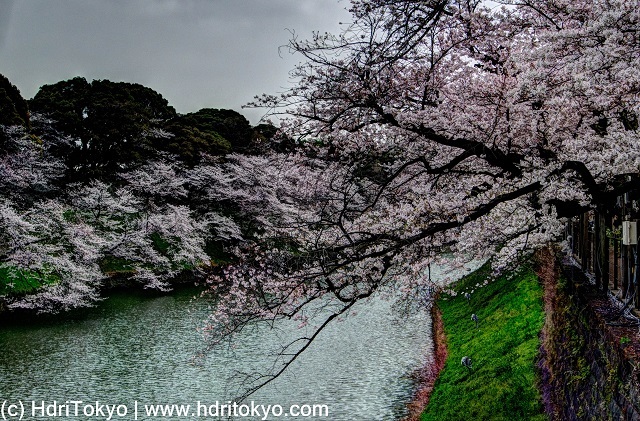 When I got there early in the morning, although it had already stopped raining, the sky was still grey and it wasn't good condition for viewing cherry blossoms. However, I felt different beauty of the blossoms in the calm atmosphere.